Once you start adding a bit of con­tent to a web­site, just hav­ing a sim­ple nav­i­ga­tion for find­ing that con­tent becomes insuf­fi­cient. Espe­cial­ly if that con­tent has ref­er­ence mate­r­i­al in it that peo­ple might want to refer to on a reg­u­lar basis. So I decid­ed to imple­ment a search func­tion on this web­site, specif­i­cal­ly some­thing that will search the blog entries. Peo­ple have become quite used to just typ­ing what they are look­ing for into Google, and let­ting it do the rest. But just any search won’t do; we want autocomplete or typeahead search functionality, so that a few keystrokes will find what people are looking for. Since we’re already using Vue­JS on this web­site, as per the Using Vue­JS 2.0 with Craft CMS arti­cle, we’re absolute­ly going to lever­age Vue for our search. While I’m not opposed to writ­ing my own Vue Com­po­nent to do this, a big rea­son to use a frame­work like Vue is that you can drop in com­po­nents that oth­er peo­ple have made already, and use them. I found a Vue Com­po­nent called vue2-auto­com­plete that seemed to fit the bill, but it need­ed some minor mod­i­fi­ca­tions to work just the way I want­ed it to with Craft CMS, so I forked the repo, made my changes, and away we go (yes, a Pull Request will be forthcoming). If you’re inter­est­ed in learn­ing how to build a Vue Com­po­nent from scratch to do auto­com­plete search, the arti­cle Build­ing an Awe­some Reusable Auto­com­plete-Input Com­po­nent in Vue 2.1 is a good one. Me, I just want­ed to get this done. Link Autocomplete Search, Here We Come! If you click on the ham­burg­er menu, you’ll see a fair­ly sparse nav­i­ga­tion appear that now includes a search field. Type a let­ter or two, and it’ll find you blog arti­cles on this site that match what you’ve typed. Under the hood, it’s a Vue Com­po­nent that han­dles your input, then issues an AJAX call to our Ele­ment API end­point with what you’ve typed. Our Ele­ment API trans­former finds arti­cles you might be look­ing for, and returns the data as JSON to the Vue Component. Then the Vue Com­po­nent auto­mat­i­cal­ly ren­ders the drop­down menu of search results, and away you go. It even sup­ports the arrow keys and return/​enter key for navigation. This just tells npm or yarn ​“hey, grab this pack­age from this GitHub URL”. If we were using the vue2-autocomplete com­po­nent with­out mod­i­fi­ca­tion, we would just spec­i­fy the pack­age as normal. The criteria array is essen­tial­ly just an Ele­ment­Cri­te­ri­aMod­el in para­me­ter­ized array form. So we can pass in the section we’re inter­est­ed in, limit the num­ber of entries returned, and even use search to find just what we’re look­ing for. I orig­i­nal­ly had it search­ing the entire entry for what the user typed, but it felt a lit­tle less use­ful than just search­ing the title and blogSummary fields. So I used the Search Syn­tax to lim­it my search­es to wild­card search­es of those fields. The way the vue2-autocomplete com­po­nent is writ­ten, it just pass­es in your query, and the heavy lift­ing of deter­min­ing what match­es it is up to your Ele­ment API endpoint. Then it sets the JSON response to a prop­er­ty in our Vue Com­po­nent, and the DOM is auto­mat­i­cal­ly re-ren­dered to reflect the data. Neat. As you can see, we’re pass­ing in the id and url to our Vue Com­po­nent as HTML attrib­ut­es, that should feel pret­ty com­fort­able. But there are some oth­er attrib­ut­es being passed in that could use a bit of explanation. And that’s real­ly all there is to it. I’ll present the full code below, so that it makes sense in context. But first, let’s talk about the down­side of this approach. Every sin­gle time a per­son types a key­stroke, we fire off an XML­HttpRe­quest that caus­es Craft to spin up, per­form a data­base query, and return the results as JSON. This is some­what mit­i­gat­ed by the fact that our Ser­vice Work­er caches requests, so repeat­ed requests will be quite quick. Check out the Ser­vice­Work­ers and Offline Brows­ing arti­cle for details on that. If this were ever to become a high-traf­fic web­site, I would instead just cache the JSON response for all of the entries in my blog chan­nel, and then per­form a sim­ple array search. I would do this client-side once, to keep the net­work chat­ter to a minimum. You could even issue an XML­HttpRe­quest for the full JSON response when some­one mous­es over the search field, antic­i­pat­ing that they are like­ly going to want to search for some­thing. That way you don’t load the JSON response on every page for no rea­son, but rather when you’re like­ly to need it. Still, for small­er-scale projects like this, it works fine, the results are nice, and it’s fun to nar­rate how things are imple­ment­ed on this web­site in a blog on this website. You might notice that in our elementapi.php we’re return­ing a para­me­ter called searchUrl in the JSON data. 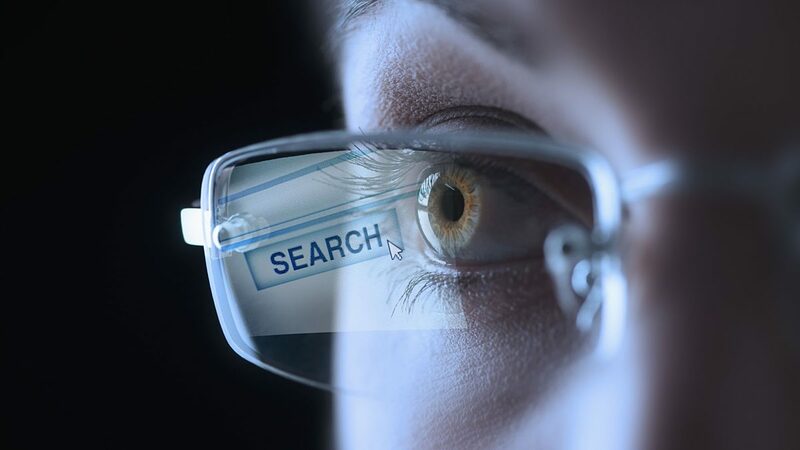 This is so that we can lever­age Google Site Search Ana­lyt­ics, and get a report­ing of the search terms peo­ple use when search­ing for things on our website. We then send a vir­tu­al pageview when some­one has select­ed some­thing from our results list via ga('send', 'pageview', data.searchUrl); to reg­is­ter the site search query with our Google Ana­lyt­ics account.